India consists of 29 states and 7 union territories. 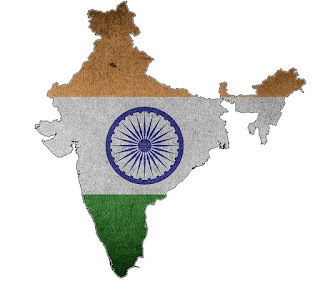 See the list of all states and their capitals of India. For competitive exams states and Capitals, Chief Ministers(cm), Governers are more important. For any govt exam, they will ask some questions on these topics and also country and capitals with currency are important. 1. How many states arevin India? Ans: India consists of 29 states. 2. How many union territories are there in India? Ans: India consists of 7 union territories. 3. Which is the largest state in area? Ans: Rajasthan is the largest state in India. 4. Which is the smallest state in India by area? Ans: Goa is the smallest state in India. 5. Which is the first state formed in India? Ans: Maharashtra is 1st State to formed in India Mumbai capital(1818). 6. Which is the last State formed in India? Ans: Telangana is the last state to formed in India with a capital of Hyderabad(2014). 7. How many states are farmed in 1947 in independence year of India? Ans: in 1947 Independence year three states are formed in India. those are Jammu and Kashmir, Manipur, West Bengal. 8. How many states are formed in the 20's? Ans: In 20's 4 states are formed in India those are Chhattisgarh, Jharkhand, Uttarakhand, Telangana. 9. What is the capital of India? Ans: Delhi is the capital of India. 10. Which is the seventh largest Country in the world? Ans: India is the seventh largest country in the world.